Jap.19 "Usagi's so Happy! Tuxedo Kamen's Love Letter!" These earlier episodes are actually pretty enjoyable to watch! Not only does the animation still hold up (despite what I thought before rewatching these episodes) but storywise each episode actually works pretty well! A lot of people praise the later series, especially the third (S) and final (Stars) but these early first season shows really have a lot going for them. We begin, this episode with Nephlite asking the stars and Negaverse for information on the Sailor Scouts' biggest weakness. Apparently it's Tuxedo Mask! 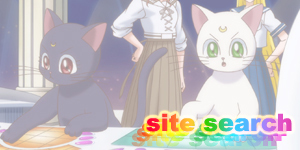 Zoicite soon appears and summons Nephlite to the Negaverse where ge tells Queen Beryl of his new plan to impersonate Tuxedo Mask and trap the Sailor Scouts! 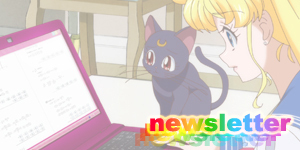 At that moment, Serena has received a letter from "Tuxedo Mask" inviting her to a shopping centre at 9pm the next night! Luna thinks it's strange that he must have found out Serena was Sailor Moon, but Serena doesn't seem to care and is convinced that Tuxedo Mask loves her! She's also extremely exciting because Raye will be very jealous. At school it appears that all the girls, including Molly have also received the invitations! Molly thinks that Tuxedo Mask could be Maxfield Stanton (i.e. Nephlite) and can't wait to go. 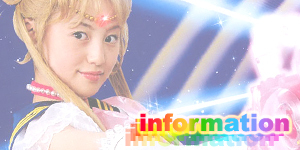 Miss Haruna soon enters (and has a slight British accent for some reason!) 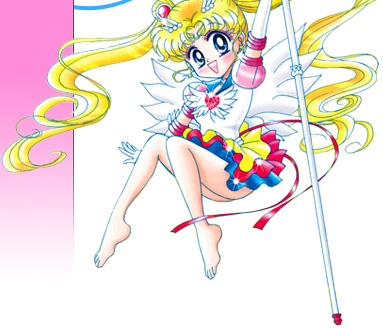 and announces that she will be going along with all the girls to meet Tuxedo Mask. Secretly she really doesn't want to do this. Especially on Friday night! Meanwhile, Amy and Luna are discussing the latest events and decide to consult Raye who may have sensed something. At Crown, Andrew is watching Darien go for a Tuxedo Mask toy in an UFO catcher. He asked Darien why he always goes for that one toy but Darien simply doesn't know. Serena enters and quickly starts crying about everyone else getting an invite. While this is going on, Amy has gone around to Raye's and finds that she's sick with the flu! Now focusing on Nephlite, we're about t find out why fans nicknamed Molly "The Battery of the Negaverse" when this show first aired. Molly walks right up to Nephlite... I mean "Maxfield Stanton" and asks him if he wrote those invitations! 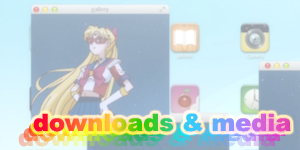 Nephlite completely misreads her and assumes that she must be Sailor Moon trying to trick him! He invites her out and leaves Molly longing for more Nephie goodness so plans to get there early. Serena, funnily enough is thinking the same thing as she starts to prepare for the big event! As she prepares she follows her three steps. Rule 1: Wear your coolest socks. Rule 2: Fix the hair Rule 3: A bit of perfume. Rule 4: Scrub those glossy whites (your teeth). Rule 5: Lipstick! Later that night, Molly has met "Tuxedo Mask" who accuses her of being Sailor Moon and then drains this powerful energy that he senses coming from her (her love). Serena arrives and transforms to save her friend. This transformation triggers Darien's transformation into Tuxedo Mask which we see for the first time ever in this episode! A lot of people think that Tuxedo Mask only has one transformation and that's in the episode, Day of Destiny, but that is a different transformation and much later in this season. That later transformation is caused by Darien, whereas at this stage in the story Darien doesn't know he's Tuxedo Mask. 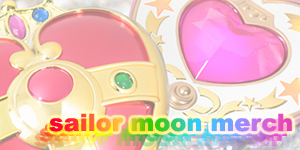 The transformation is triggered whenever Sailor Moon needs his help or transforms herself into Sailor Moon. Sailor Moon starts attacking Nephlite who throws Molly at her and then summons Leo the Lion. Tuxedo Mask appears and tries to help can't defeat the monster. 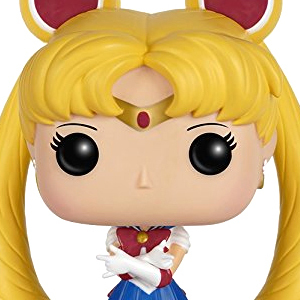 Sailor Moon tries her Moon Tiara attack and for the first time it doesn't kill the monster! Sailor Moon and Tuxedo Mask retreat into the elevator and Nephlite recalls Leo the Lion and announces that as soon as the elevator reaches the top floor it'll drop and kill them! Sailor Moon seems to like being stuck with Tuxedo Mask however but before she can take advantage of the situation, Tuxedo Mask realises they can escape through a panel in the elevator's roof. The elevator reaches the top floor, they jump off it onto a ledge and the elevator falls to the basement tricking Nephlite into thinking he killed them. 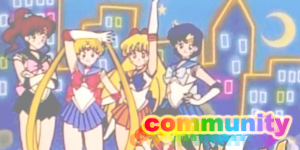 As they're hanging, Sailor Moon asks him several questions one of which is if he is a Sailor Scout and if he has a planet. Tuxedo Mask replies that he has a feeling that he knew her a long time ago and that it's his destiny to protect her. But he doesn't understand it. Suddenly the doors open and it appears that Mercury, Mars and Luna had come to save them! Tuxedo Mask quickly disappears as usual. At the Negaverse, Beryl has learned that Nephlite failed to kill Sailor Moon (something which Zoicite is more than happy to point out) but she is happy with him as the energy he drained from Molly gave the Negaverse a nice little "boost". Later, Nephlite uses his powers to erase all of tonight's events from Molly's memory to protect his Earth identity. This monster, Leo the Lion is extremely strong and more importantly, undefeated! 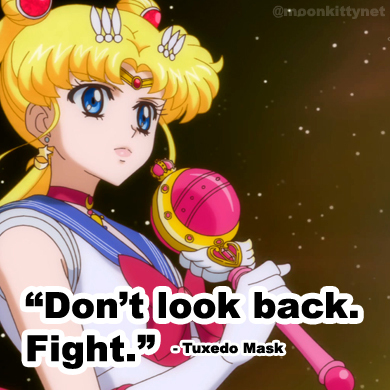 Not many bad guys on Sailor Moon can say that! Leo the Lion was summoned from the constellation itself by Nephlite and while he doesn't seem to posses any special powers (mostly physical attacks) he survived a "Moon Tiara Attack" right to the head! Wow! Being undefeated by Sailor Moon and Tuxedo Mask, Leo was recalled by Nephlite. 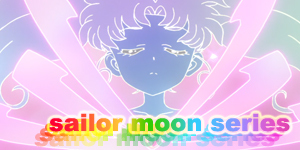 This episode gave us our first official Tuxedo Mask transformation! The character would get several more throughout the series, each of them being completely different to the ones that came before.